At this “Scribble Stage”, the child will be exposed to the world of colors and medium applications, explore the various materials possibilities and tools through games and plays. These courses aimed at developing the child’s fine muscles, which in turn sharpens the dexterity in his fingers. 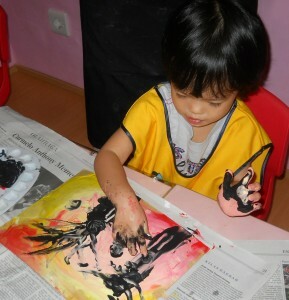 The child will also share thoughts of his creation through language, by telling others what he has done. 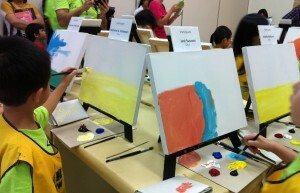 Art start is the fundamental lesson and is essential as a start for all students. 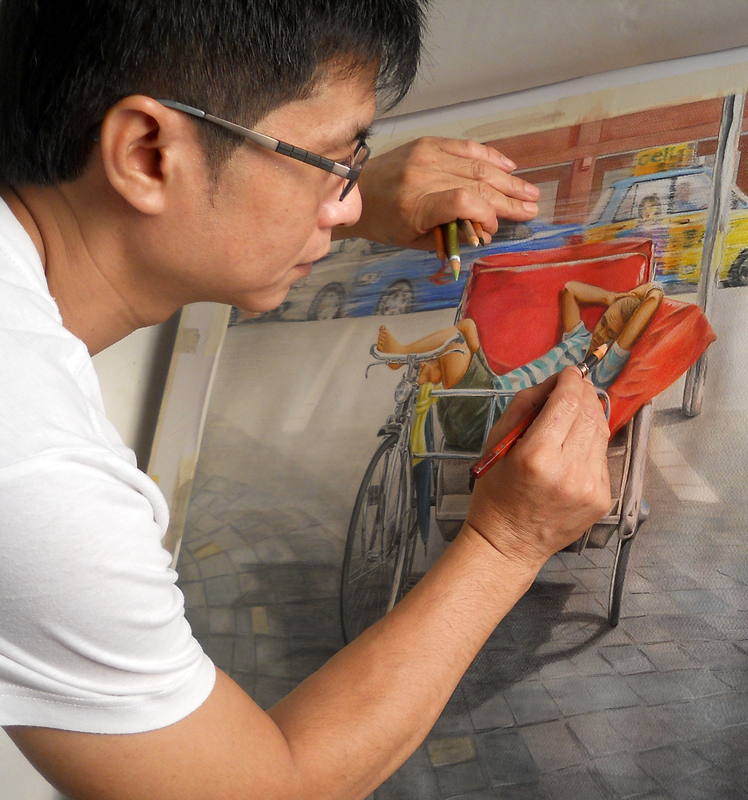 It is the teaching elements of art, principle of design, introduction to various artists and art form. 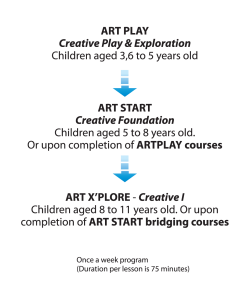 In this module, pupils are exposed to different type of medium, 2D and 3D artworks through the thematic theme of Design, Art, Culture, Nature, Geography & Living, the child is exposed not just to shapes, colours and possibilities of Art but its different expressions and artist’s influences; The child is taught to develop independent thinking through observation and analyzing, she will then depart from her observation and create her own unique expression. 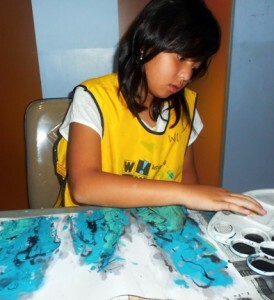 In Art X’PLORE, we explore the world with the child.. In each module, a country is being introduced. For example, in the module on Europe, we cover the daily living which is the life style, the things the people do, the culture (architectures – churches and buildings), the nature (animals and plants found in that region), the popular artists and the art movement Different mediums and techniques are being incorporated into these lessons. Drawing inspiration from the most prominent and distinguished Educators of our time – Professor Viktor Lowenfeld and Professor Howard Gardner, WowART is a pioneer in our unique field and style of art education. 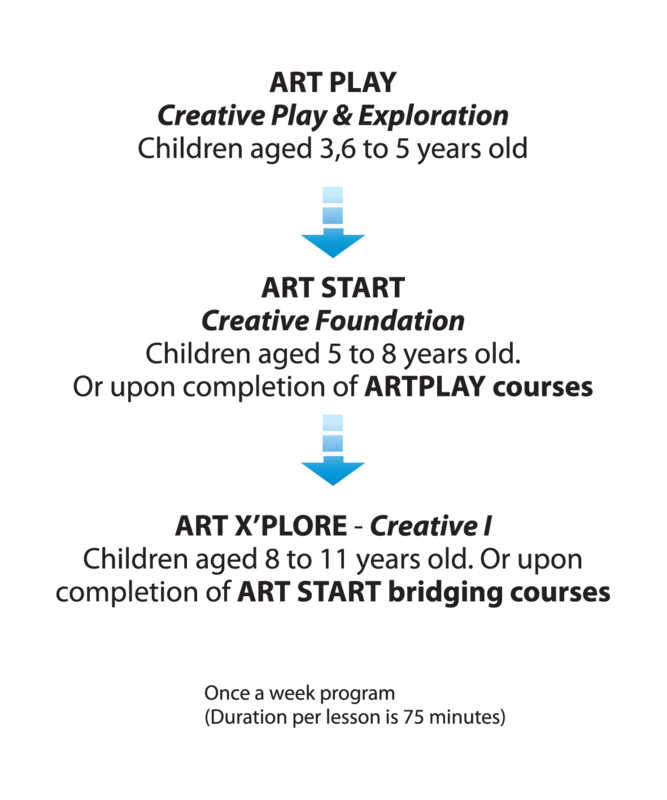 We have carefully designed our proprietary course structure and delivery to enrich a child’s total learning experience by employing visual art to increase their intellectual capacity to observe, create and enhance their understanding of both themselves and their environment. In a world without borders, it is becoming necessary for our children to grow up as People of the World, cultivating a Global mindset. 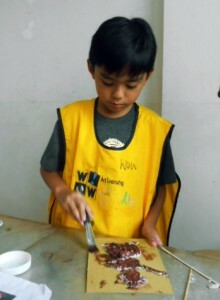 WowART lays the foundation of global citizenry through our unique brand of art education. We nurture every child’s steps toward creative confidence, critical thinking and cultural literacy to help them grow into fully engaged citizens in our global society – comfortable and confident anywhere in the world.